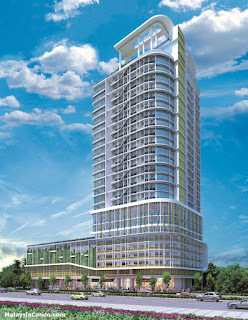 The Locus @ KL City View is located along Jalan Cheras in Kuala Lumpur. Only 3 minutes walk to Sunway VeloCity and a short drive to two MRT Stations, IKEA Cochrane and myTown Shopping Complex. The Locus consists of 27-storey service apartments with a total of 176 units and retail podium for supermarket.